More massive robots in disguise! True to the Transformers name, these astounding robots change into vehicles and back again at a moment's notice. And who knows what they're after this time? Each awesome figure in this series stands about 7-inches tall in robot mode and provides hours of morphing fun as you reenact or create your own new clashes between the Autobots and Decepticons. Hurry! Add these quick-change artists to your collection today! 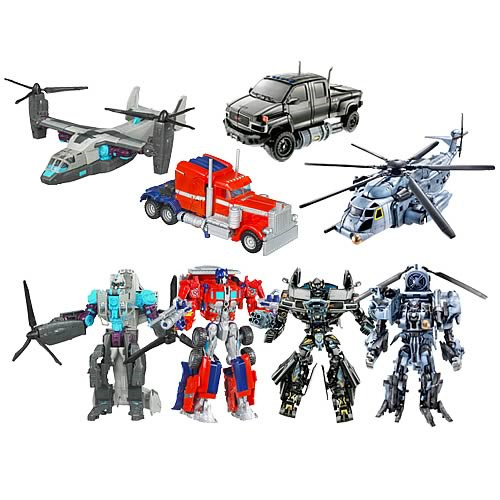 Now's the time to grab these and all the amazing Movie Voyager Transformers… while you still can!